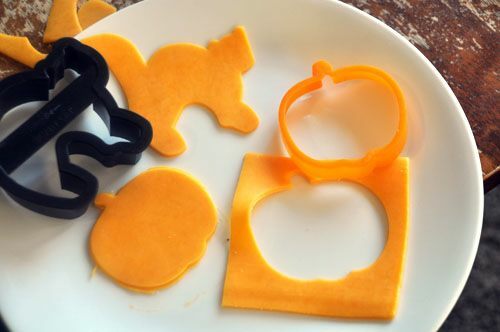 Get creative with those cookie cutters and use them for things other than cookies! 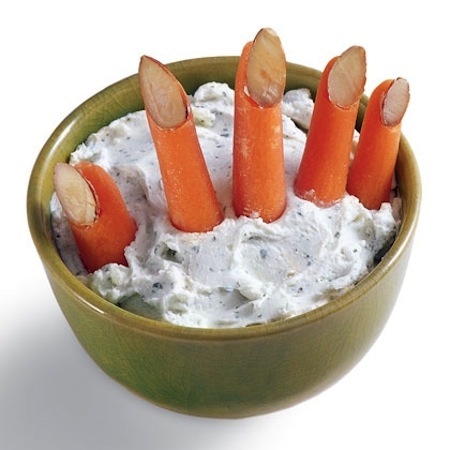 A creepy carrot hand sticking out of your cheese dip is the perfect way to dress it up for Halloween! Serve it with more carrots, veggies, and crackers. No candy here, folks. 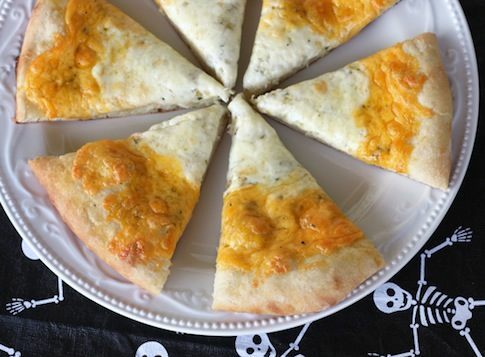 But check out how easy it is to make a candy corn themed pizza! Just rim the edges with cheddar and bake!